Rosie is the first Saphyr Snorre daughter, for a whole range of reasons didn't make it into the ring as a youngster but since she is such a lovely girl & produced a BIS boy we let her have a run. 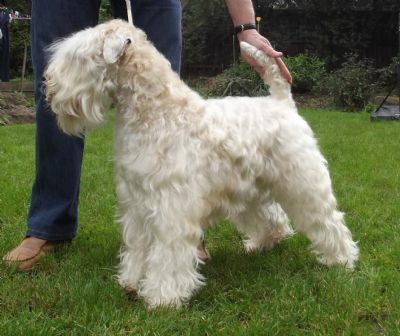 Rosie achieved her title easily with 2 significant Best of Breeds in strong competition under International judges. As it happened her final tilt for points was delayed to a 2015 finish on Australia Day as she enjoyed her Christmas beach holiday. 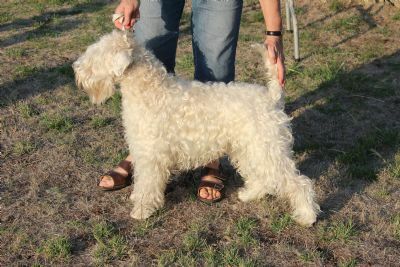 Her glorious coat is a reflection of her breeding which combines Swedish lines and Grand Champions with wonderful coat. Her sweet temperament comes from all sides of her pedigree. 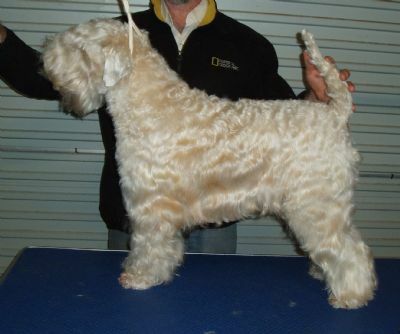 She has produced 8 lovely pups to Aust Ch Ballinvounig Sunshine (Imp. IRE) who is a Delta therapy dog also with exceptional temperament.